Helping out today, I was given this photograph as inspiration. 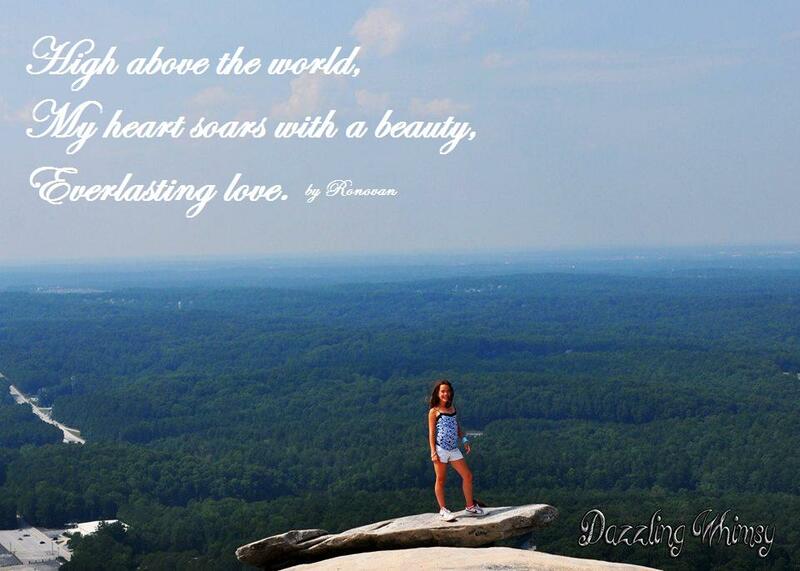 Kate picked it intentionally as it is one of her daughters standing atop Stone Mountain, oddly enough the subject of my wordless Wednesday photograph. To achieve the quality of shot Kate did here considering the haze one can obviously get from the atmosphere is exceptional. The richness of the coloring of her daughter is amazing. I know the rock that girl is standing on. These days I wouldn’t do it, but then again she is the one that was a flyer for competitive cheer for most her life.